and stand a chance to win 1.5 Million Naira! Everyone’s a winner! Until your bank balance hits zero. Help is only a few swipes away. 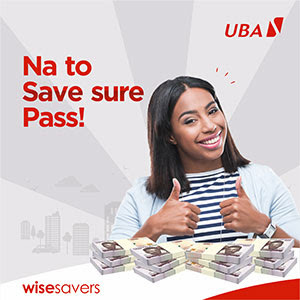 Sign up for the UBA Wise Savers Promo, and get rewarded for saving. 3 Maintain the account for 3 months. 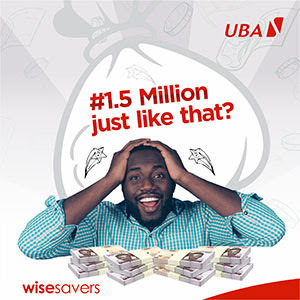 Every 3 months, 20 lucky account holders will be selected to win 1.5 Million Naira! Not a problem. Just fund your account with 10k Naira every month for 3 months. 80 people will save their way to millions this year. Will you be one of them? 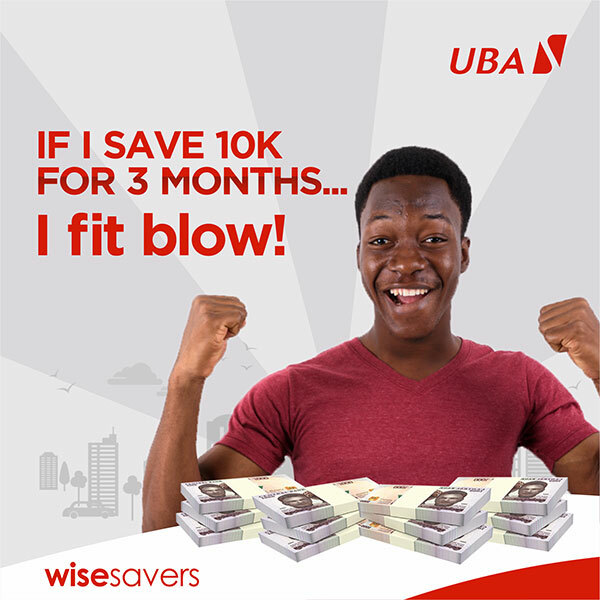 Sign up for the Wise Savers Promo Today!